The National Company Law Tribunal (NCLT) on Wednesday cleared a controversial proposal by public sector banks to withdraw bankruptcy proceedings against Sterling SEZ and Infrastructure Ltd after the company’s absconding promoters made a one-time settlement (OTS) offer to the lenders from overseas. As the promoters of the company are not in India, the court asked the company’s resolution professional to act as an administrator of the company till further orders. The banks have taken a haircut of close to 65 per cent in the account and 90 per cent of its lenders have agreed to the one-time settlement. The firm was referred to the NCLT in July last year for debt resolution under the Insolvency and Bankruptcy Code 2016 after the Sterling Biotech group failed to repay its bank dues worth Rs 8,100 crore. Sterling SEZ is the second company from the Sterling Biotech group in which the lenders accepted an one time settlement offer from the promoters under Section 12 A of the Insolvency and Bankruptcy Code 2016. On February 12 2019, the NCLT had asked the Enforcement Directorate (ED) to hand over assets of Sterling SEZ to the resolution professional, so that the value of assets does not erode and they can be sold to repay banks. This was after the physical assets of Sterling SEZ were attached by the ED, when the firm defaulted on bank loans and its promoters fled the country. The ED had earlier informed the NCLT that the Sterling Biotech group also comprised of Sterling International Enterprise, PMT Machines, Sterling SEZ and Infrastructure, Sterling Oil Resources, and Sterling Port, which were under investigations by multiple agencies. It said the Sterling Biotech group obtained credit facilities of over Rs 5,000 crore from banks, and these loans turned into non-performing assets. The banks conducted a forensic audit to ascertain the end-use of loans availed by the SBL Group. The ED received the audit report from Andhra Bank and State Bank of India, which showed the use of loan funds for non-mandated purposes, payments made to non-existent parties, and non-justificatory payments to directors, etc. As on date, credit facilities to the extent of Rs 8,100 crore have been availed by the group and this has been declared a fraud account by the concerned banks. It also said the CBI registered an FIR on October 25, 2017, against various promoters of SBL group, on the basis of which the ED investigated the offences under the Prevention of Money Laundering Act. As the investigation kept unfolding, the role of different accused persons and determination of various assets that were proceeds of crime/laundered money led to the attachment of properties involved in money-laundering. These were proceeds of crime to the tune of Rs 4,274 crore, and resulted in the filing of different prosecution complaints, the last being filed on October 23 last year before the special PMLA Court, Patiala House, New Delhi. The PMLA Court issued non-bailable warrants against the accused persons/promoters of SBL group on October 25, 2018. It said the promoters of the company had fled the country. A PTI report had earlier stated that the promoters had asked the court to quash these warrants. In the case of Sterling Biotech, a separate bench of NCLT had earlier asked for responses from almost all regulators, including the Reserve Bank of India, the Central Bureau of Investigation, the ED, and markets regulator Securities and Exchange Board of India, after lenders agreed to an OTS offer made by Sterling’s promoters. Sterling Biotech made an OTS offer of ~3,110 crore, amounting to a 65 per cent haircut for banks. The financial creditors had made claims worth ~15,000 crore against Sterling Biotech, according to the resolution professional’s statement to stock exchanges. 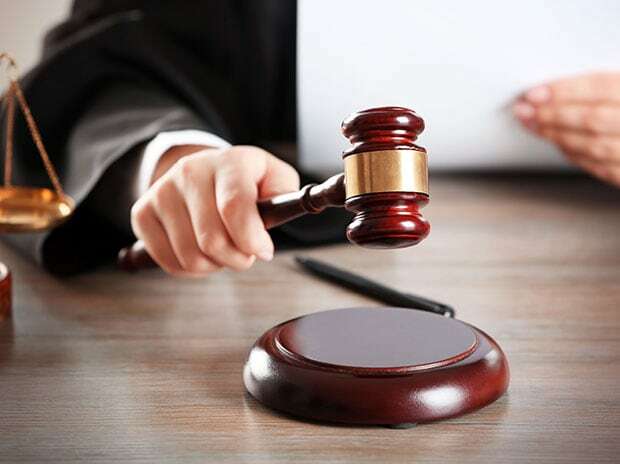 However, the lenders’ attempt to withdraw the insolvency proceedings against Sterling Biotech did not materialise in the last hearing on March 27, and the NCLT has listed the matter for hearing on April 26. On January 13 2019, the ED arrested a top official of Andhra Bank in connection with the money laundering probe into the group.